One of James' favorite types of food is Indian, and it's apparently one of Bobert's favorites too! I don't think I've ever seen anyone so gleeful the first time we took him to an Indian buffet. However, I'm afraid of cooking Indian. All the seasonings and spices just intimidate me! Since we'd recently gotten some curry powder, I thought maybe it was time to tackle making Indian food at home! The curry powder really helped simplify things. Instead of having to perfectly blend together a laundry list of spices and seasonings, you've got it all simplified into one powder. Now, I'm all about using individual seasonings and making your own blends, but buying a pre-made mix is sometimes where we need to start. 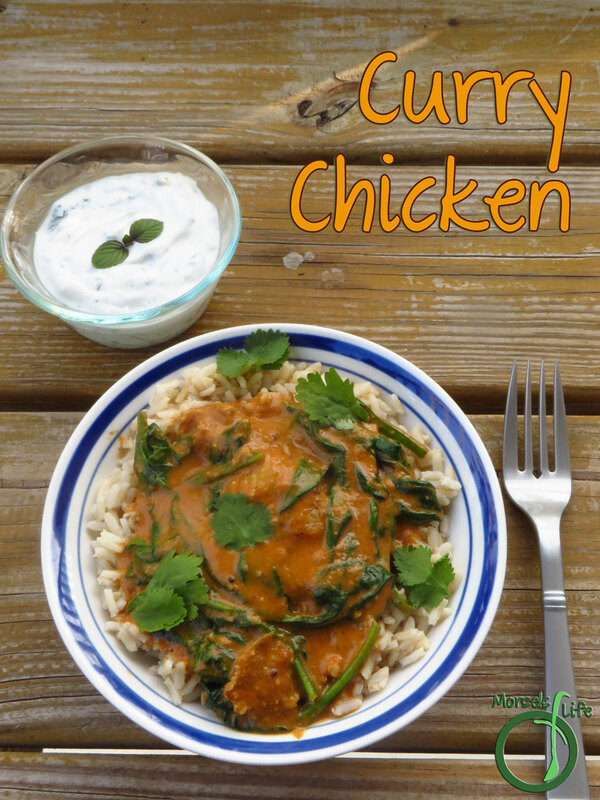 :) I know I certainly wouldn't have made this scrumptious curry chicken if I had to make my own curry powder first! 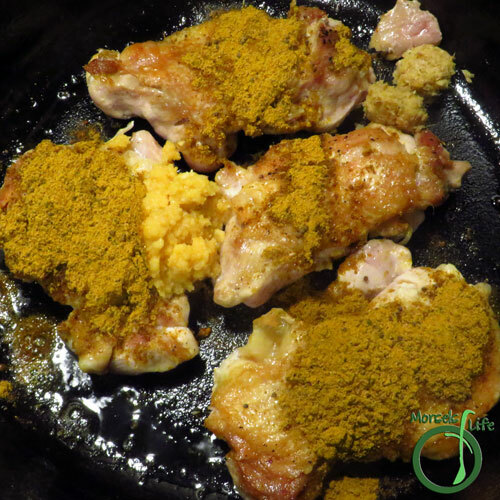 Do you prefer making your own seasoning blends or buying pre-made ones? 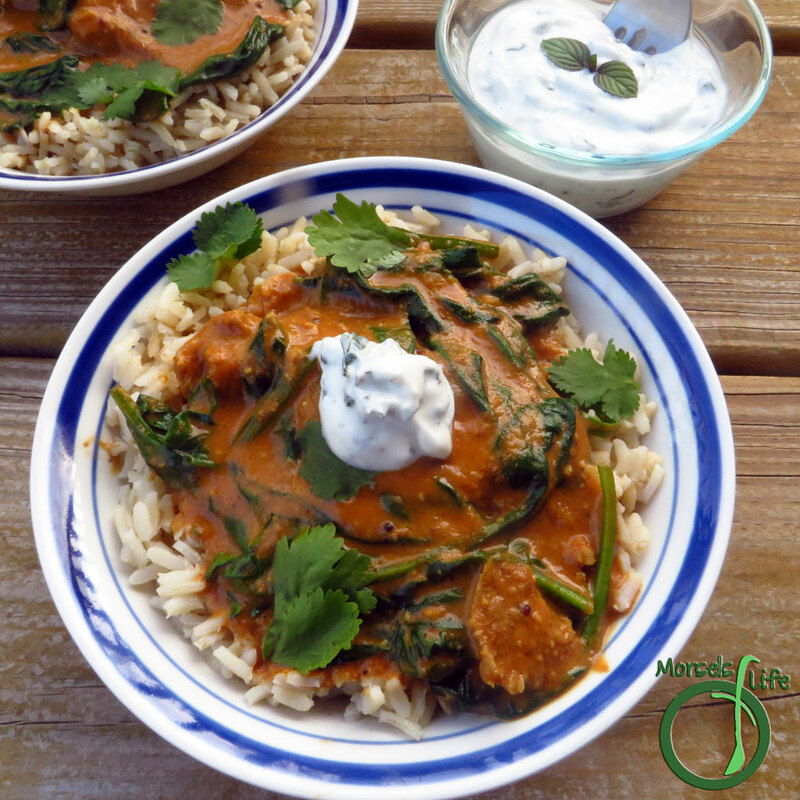 Coconut milk, simmered into a complex curry with tomatoes, then served with seared chicken over brown rice for one scrumptious curry chicken. 150 grams 5.3 ounces 1 container plain yogurt I'd recommend using something thicker, like Greek yogurt. 3. 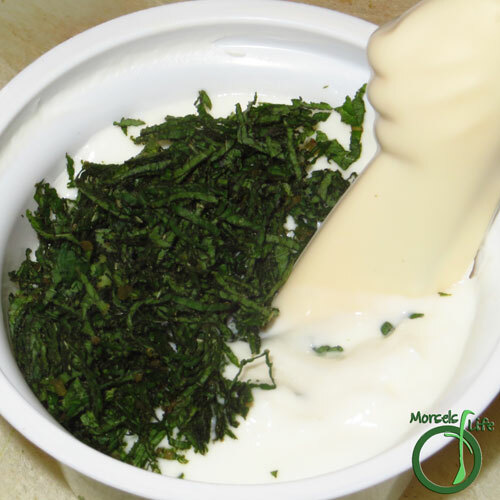 Meanwhile, chop mint leaves and combine with yogurt. 4. Heat a bit of oil in a pan, and cook chicken, skin side down. Top with a quarter of the curry powder. Drain drippings after skin side browned, about 7 minutes. 5. Flip chicken, and add garlic, ginger, remaining curry powder, tomato sauce, and coconut milk. 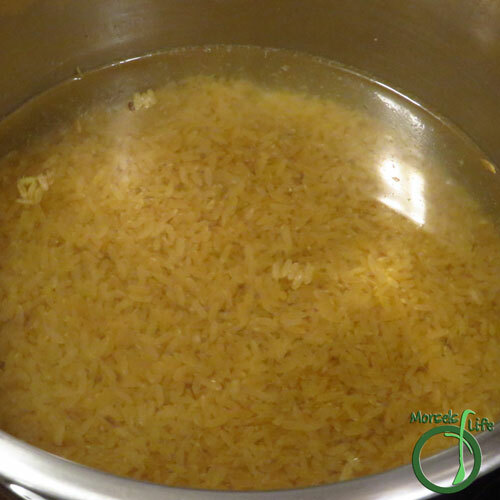 Simmer until cooked through, stirring occasionally, until chicken cooked and liquid thickened. 6. 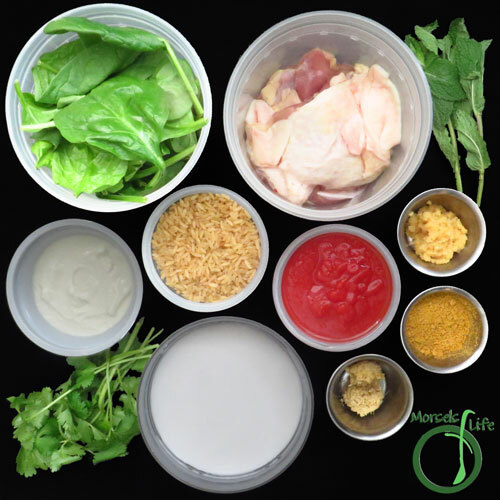 Once chicken is cooked, remove from heat and toss in spinach, wilting it. Serve over rice. How delicious sounding! I love curries and don't make nearly enough variety when it comes to them. I'll have to give this a try! I like making chicken curry. 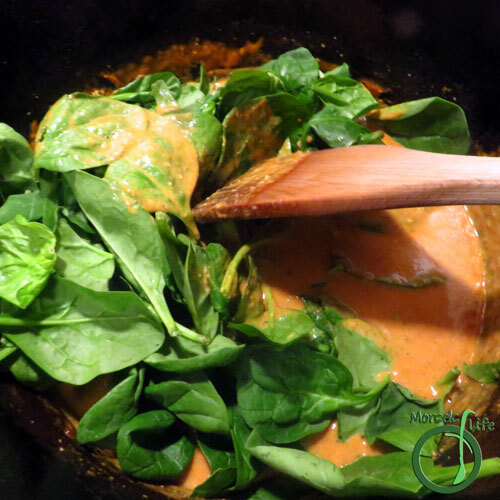 I like the combination of spices & Spinach for this dish. I hope you're having a wonderful weekend. I love your detailed and illustrated instructions. 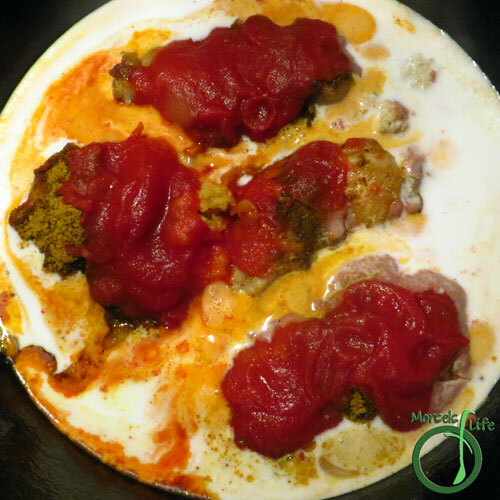 Thanks for sharing on the "What's for Dinner" linky! I like to make my own spice blends sometimes but I definitely rely on the pre made ones too, especially when it comes to curry. 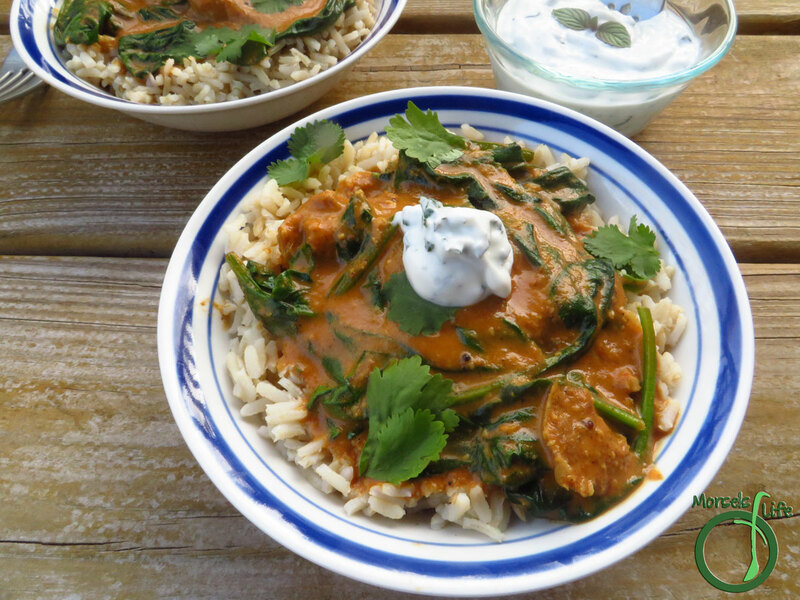 I love a good curry and this looks fabulous! Thanks for sharing at What'd You Do This Weekend? !